Starbucks (SBUX) is one of the latest companies to sign a letter asking North Carolina Governor Pat McCrory to repeal the state's anti-LGBT law. The letter originally came out on Tuesday with the signatures of more than 80 executives from companies like Apple (AAPL), Google (GOOG), Twitter (TWTR) and Facebook (FB). Now more companies have signed on, including Wells Fargo (CBEAX), Barnes & Noble (BKS), eBay (EBAY), Kellogg Company (K), Citibank (C), Hilton (HLT), Uber and American Airlines (AAL). That brings the list to more than 100 companies. The letter was coordinated by the Human Rights Campaign and Equality NC and was delivered to the governor by the groups' leaders on Thursday. Last week North Carolina enacted a law preventing cities from creating non-discrimination policies based on gender identity. 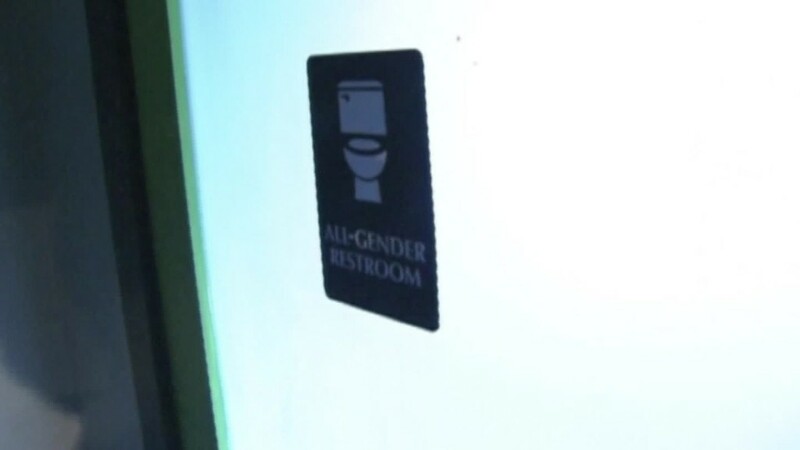 The measure also mandates that students in state schools use the bathroom that corresponds with their born gender. The letter is addressed to McCrory and says that the law does not reflect "the values of our companies, of our country, or even the overwhelming majority of North Carolinians." It also says the law is "bad for business" and expresses the companies' disappointment. "We believe that HB 2 will make it far more challenging for businesses across the state to recruit and retain the nation's best and brightest workers and attract the most talented students from across the nation," the letter says. "It will also diminish the state's draw as a destination for tourism, new businesses, and economic activity." North Carolina is the first state to pass a law restricting the use of the bathroom by transgender students. But similar anti-LGBT measures have been proposed in other states and have faced similar protest from corporations. Earlier in March, Georgia's legislature approved a "religious liberty" bill that would permit religious organizations to deny services based on their beliefs. Corporations such as Time Warner (TWC), Delta (DAL) and Coca-Cola (CCE) condemned the measure. Some companies such as Disney (DIS) and the NFL even threatened to hold major events elsewhere. This week Georgia Governor Nathan Deal said he would veto anti-LGBT measures. In Missouri, another "religious liberty" bill is being considered by the state's legislature. The nascent bill has already been met by opposition from groups such as the Kansas City Sports Commission.